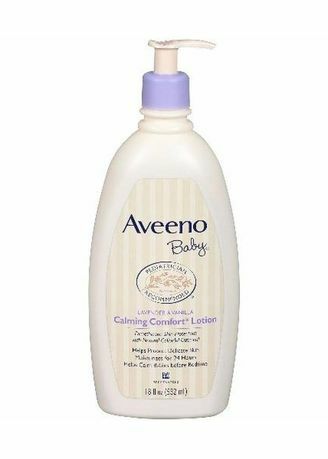 Aveeno Baby Calming Comfort Lotion Lavender and Vanilla is a gentle, fast absorbing formula that helps in the maintenance of the skin's moisture barrier with the help of Colloidal Oatmeal. This skin protectant active ingredient is the number 1 ingredient most trusted and recommended by dermatologists to help restore the skin's normal pH. Lightly scented with the relaxing and soothing notes of Vanilla and Lavender, its formula is non-greasy and helps baby feel comfortable with soft, smooth, healthy skin.